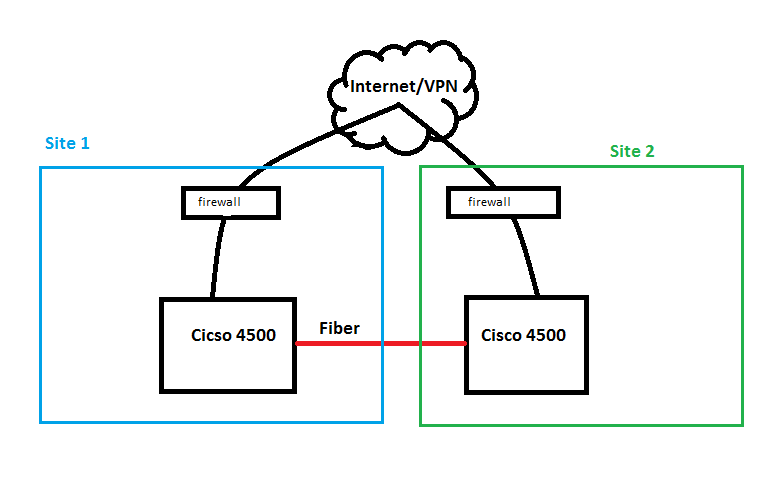 I did a IP SLA configuration on two Cisco 4500s the other day. Its really a great solution for multi path or dual-ISP, if you dont run a routing protocol. See below, the config and some notes. 10.15.0.2 is the IP address on Site 2 fiber port. 10.15.0.1 is the IP address on Site 1 fiber port. 10.0.10.5 is the IP address on Site 1 LAN Firewall port. 10.20.3.253 is the IP address on Site 2 LAN Firewall port. 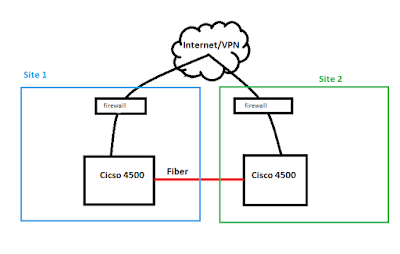 Basically, if the fiber goes down, then change the routing table to go across the VPN to the remote site, is the idea here.